When a stationary dock just wont cut it for your needs look no further than a floating dock system by your choice of either ShoreMaster or PolyDock Products. 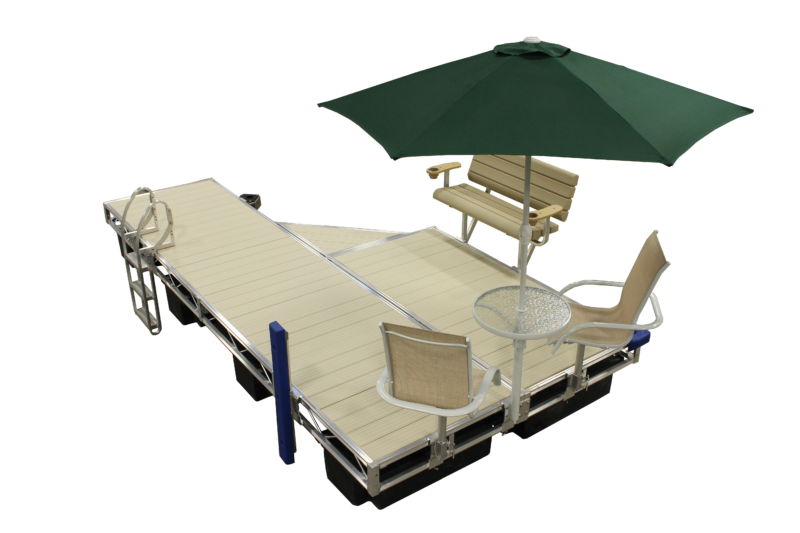 They create unrivaled quality products in different designs and configurations that will have you enjoying your new custom floating dock in no time with their easy to install dock systems. 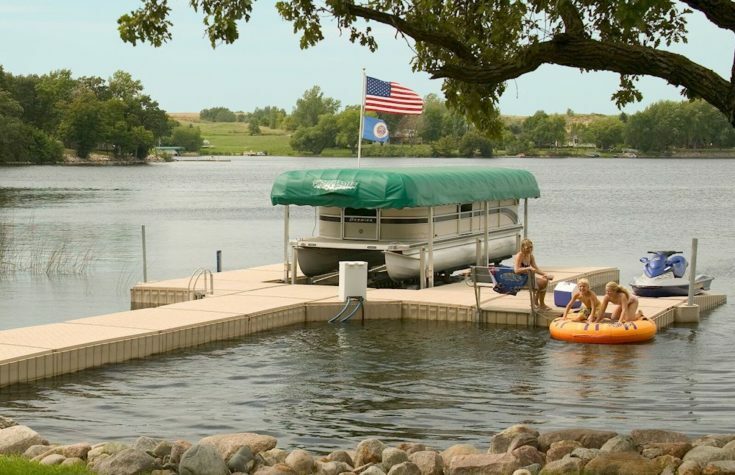 We’ve got the components in stock for the do-it-yourself homeowner to put together their own floating dock system. 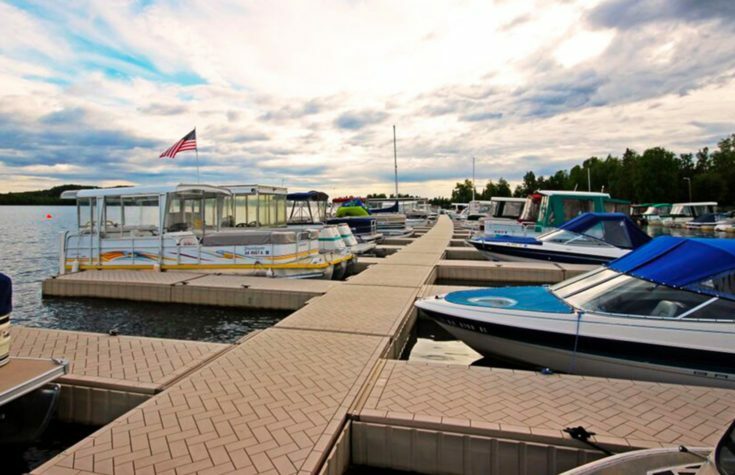 ShoreMaster floating dock systems provide hassle free adaptation to fluctuating water levels and allows for dock installation in deep water situations. 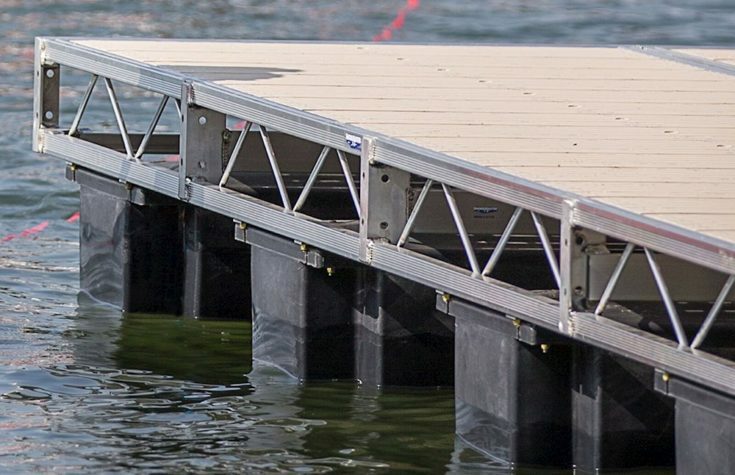 Lightweight and easy assembly mean the FST9 Dock System is the ideal floating dock system. 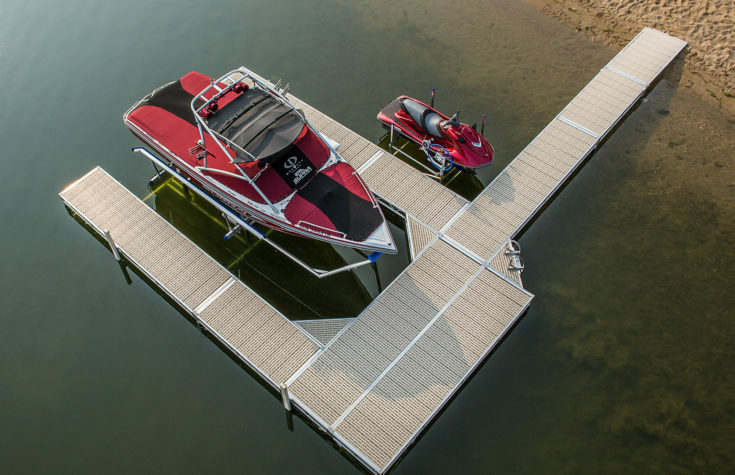 Our floating dock systems provide the ultimate in performance and aesthetics while also being easy to install and remove. Precision welded construction and premium rotationally molded flotation provides superior stability and performance. ShoreMaster floating dock system floats provide superior performance and dock stability. The outer shell provides water displacement, buoyancy and fully encapsulates the foam filling. ShoreMasters dock flotation is foam filled with expanded polystyrene beads, which prevents loss of buoyancy in the in the event of puncture or damage to the outer shell; all floats meet or exceed the Hunt Absorption Test. 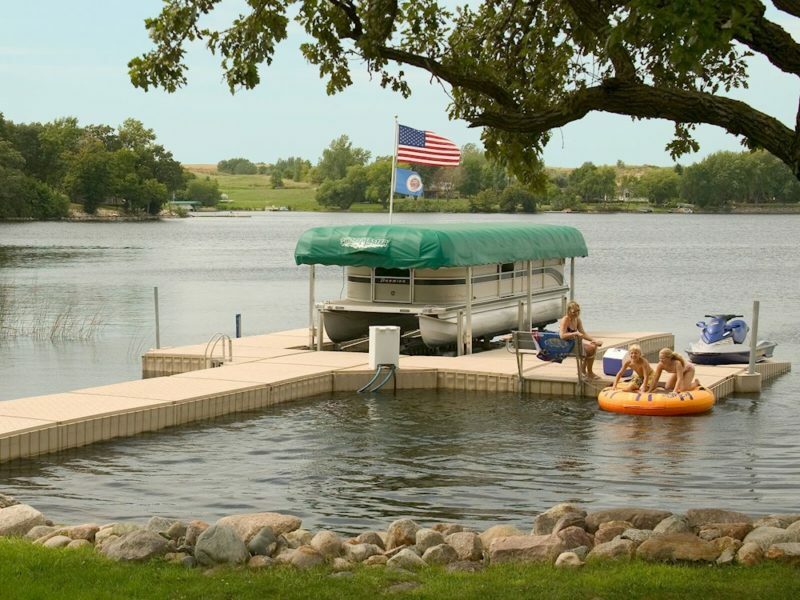 PolyDock is a modular, rotationally molded, polyethylene floating dock system designed to look great at your shoreline, and provide you with exceptional value for years. The recessed areas on the bottom of each section help to provide stability between the dock and the surface of the water. This means less movement as you walk the length and width of your dock system. 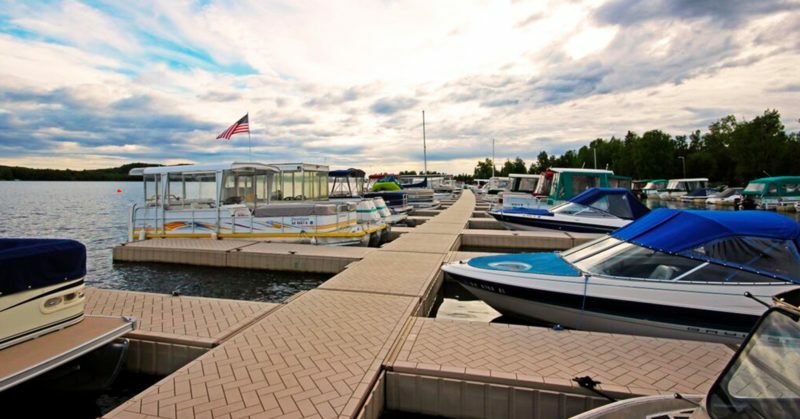 PolyDock is designed to feel firm underfoot along the length and width of its slip-resistant brick patterned surface, so you and your family will enjoy every day spent on your PolyDock modular floating dock system.